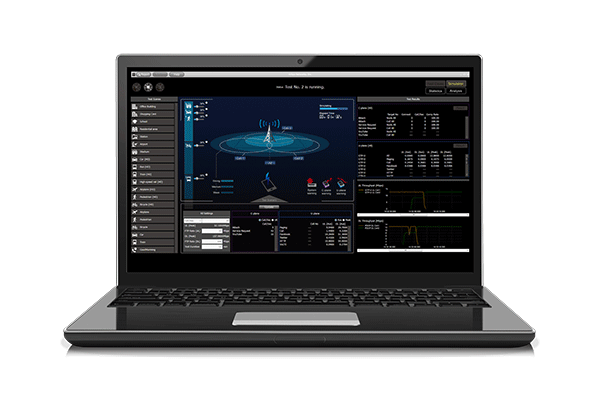 The DuoSIM-Advanced Environmental Simulator (ES) is an effective, easy-to-use eNodeB load testing solution for LTE, LTE-A, and LTE-A Pro. Built on the same scalable, industry-standard ATCA chassis as other DuoSIM products with an intuitive GUI, the DuoSIM-A ES streamlines test setup and execution to save you time and money. The DuoSIM-A ES features an intuitive GUI that makes it possible to create realistic test scenarios in just a few clicks. Use pre-defined test scenesfrom real-world locations, events, and conditions. 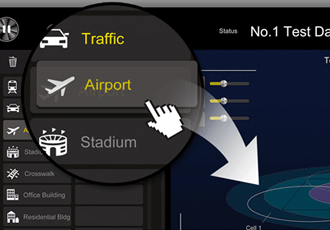 Drag-and-dropto easily create scenarios that include diverse traffic models, UE mobility, and fading. Customize test scenariosby setting your own KPIs and adjusting parameters such as fading, calls per second, peak data rates, and more. Run tests and analyze results faster with the simplified, innovative GUI and automated testing features designed to maximize efficiency. Eliminate extra trainingto enable faster and more effective eNodeB performance testing. Identify problems instantlywith easy-to-read results and clear indicators of which cells and UEs are involved. Automate testingand save your set of test scenarios as a single project for later use. Built with the same world-class DuoSIM hardware already deployed in test labs around the world, the DuoSIM-A ES offers load testing without the costly up-front investment of other testing systems. Minimize CAPEXwith the AZP-200 chassis, which delivers a complete load testing solution on a compact, affordable platform. Reuse the modular hardwareas a DuoSIM-A Functional Tester, or in a massive-capacity DuoSIM-A Load Tester. 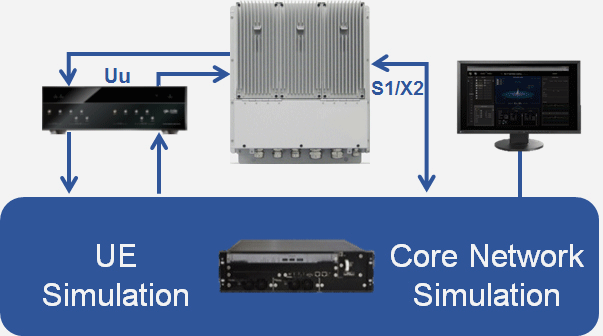 Built-in Core Network simulatoreliminates the need for purchasing a stand-alone Core Network simulator. The DuoSIM-A ES is an affordable and comprehensive solution for load testing small cell eNodeBs. As a core piece of LTE network architecture, verifying the performance of eNodeBs for deployment is more critical now than ever. Whether managing a picocell or a macrocell, the capacity and function of an eNodeB needs to be validated before, during, and after deployment. Detailed test results from the ES empower mobile network operators (MNOs) to make informed decisions about network build outs. To avoid costly network failures, MNOs need the right network hardware to meet their needs. The ES makes it quick and simple to identify the strengths and weaknesses of network equipment. Developing and deploying new features always carries risks. All DuoSIM-A products are updated regularly to support testing of cutting edge technologies and meet new 3GPP specifications. Assuring the performance of new features is simple with the ES’ intuitive GUI and clear, customizable pass/fail indicators.